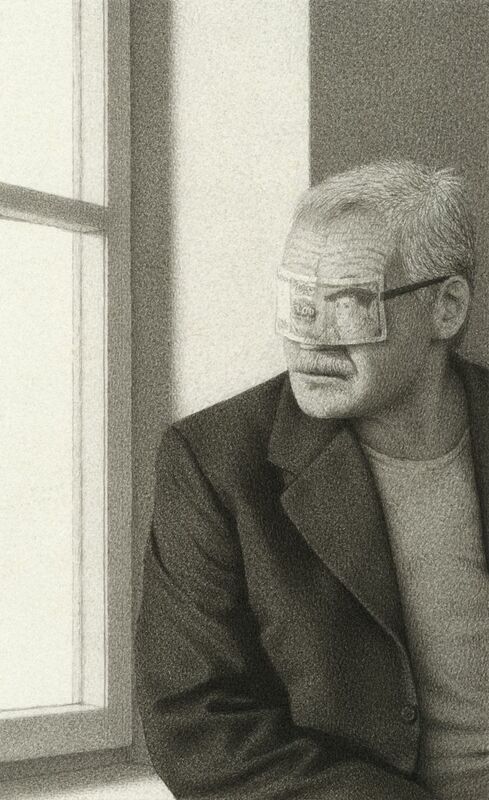 Puint Buchholz was born in Stolberg near Aachen and grew up in Stuttgart. 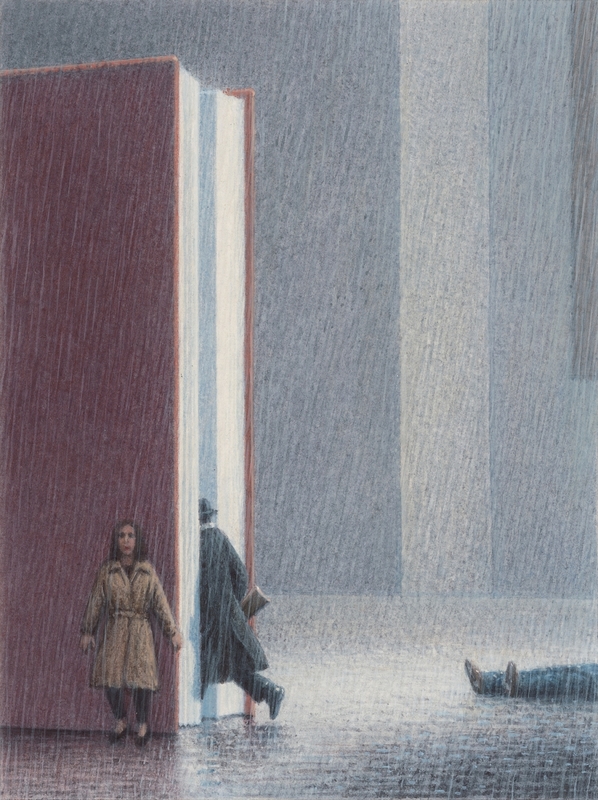 He studied history of art for four terms, followed by painting and graphic design at the Munich Academy of Art under Prof. Gerd Winner. 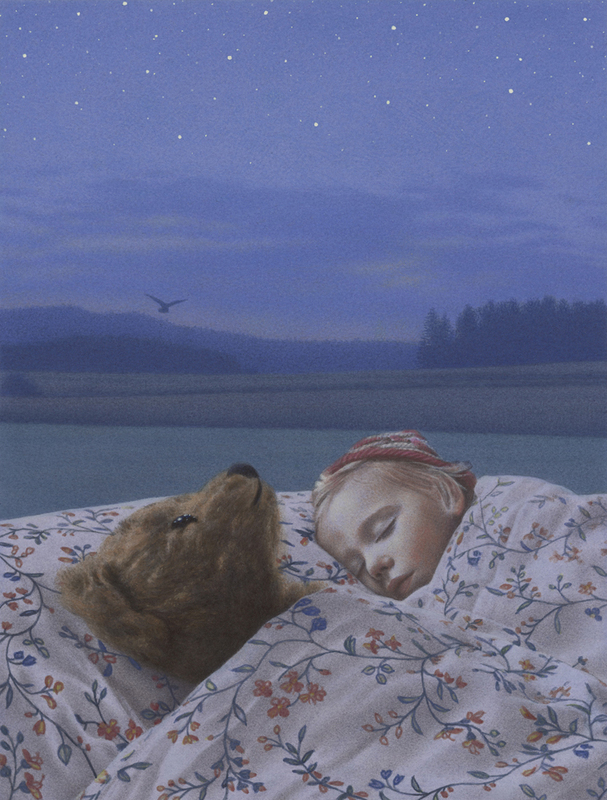 He has worked as a painter and illustrator since 1979, illustrating over fourty books for German and international publishers. 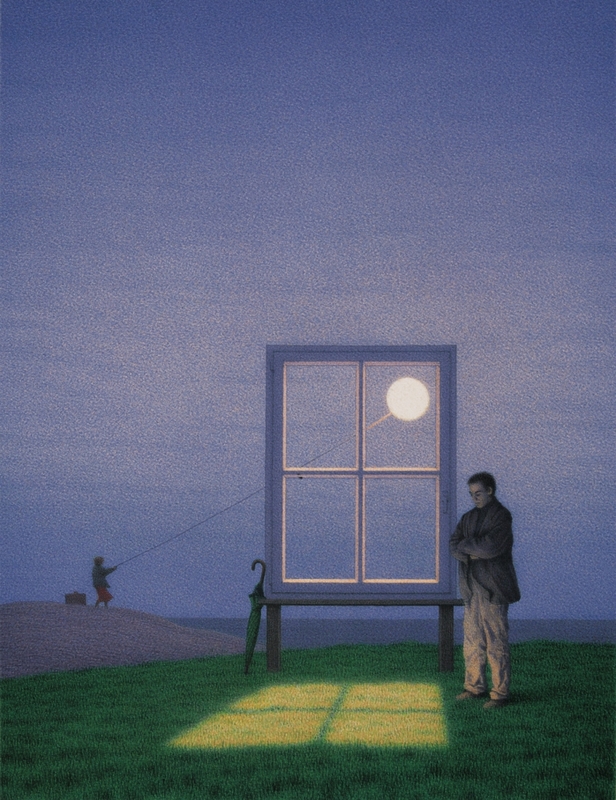 From 1982 onwards his works have also been exhibited in over seventy solo exhibitions in Germany, Switzerland, France, Italy, Spain, Greece and Taiwan. 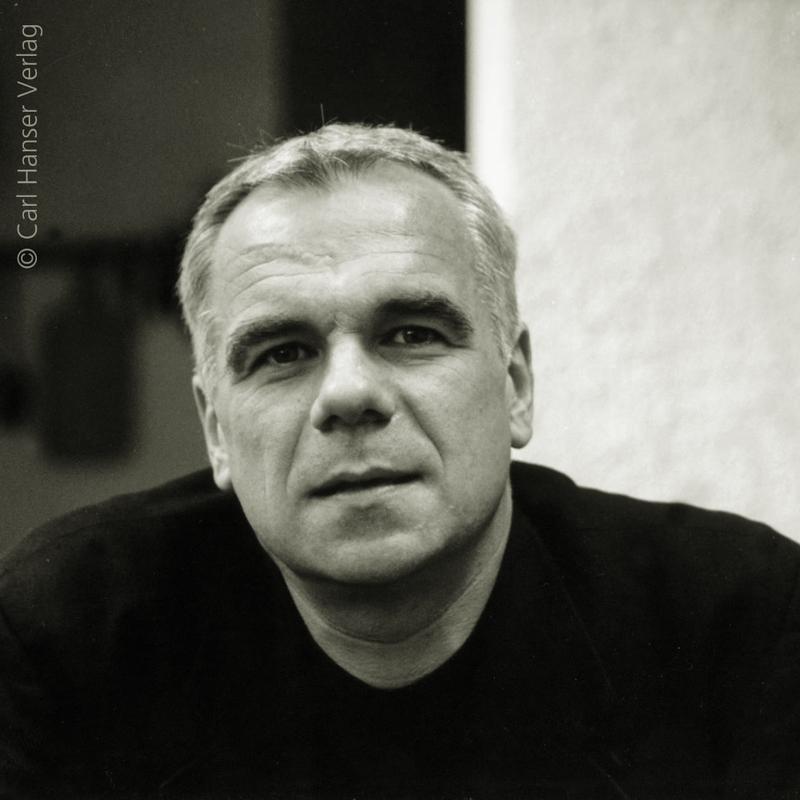 In recent years he has also worked as a stage painter, creating sets for The Golem in 2005 and Caligula in 2007, both of which were staged by Jochen Schölch for the Metropoltheater in Munich. 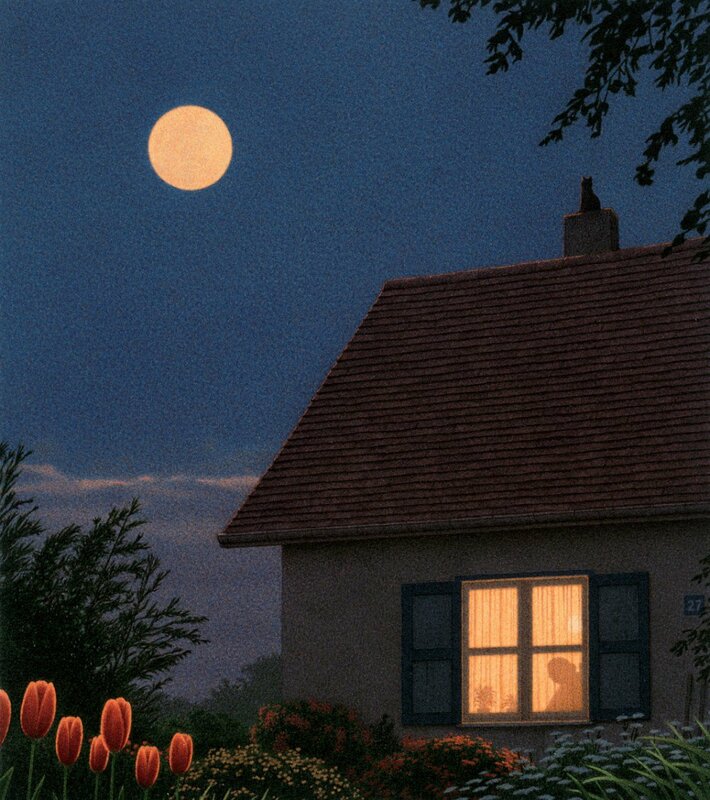 In 2008, 2009 and Quint Buchholz ran the Illustration workshop at the Kunst leben (Live Art) summer school in Kloster Irsee. 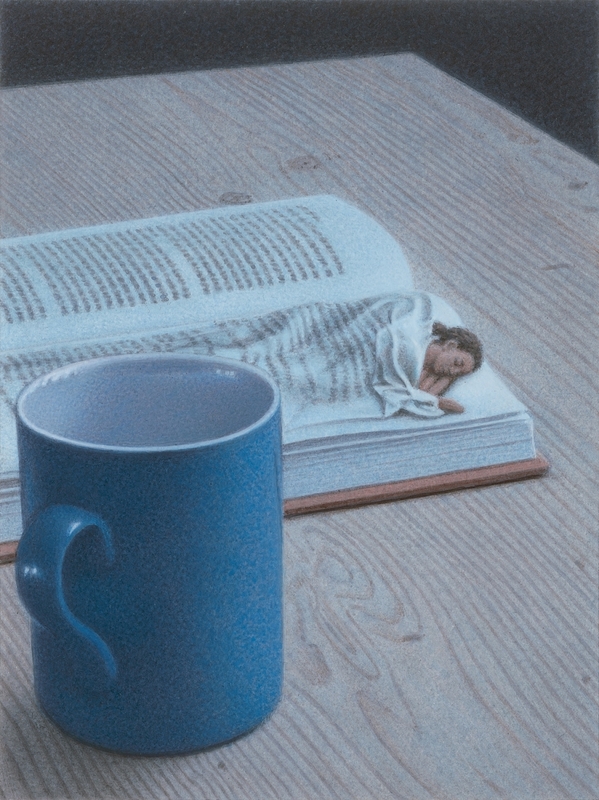 In addition to that he runs courses at the Kunstakademie Bad Reichenhall from time to time. 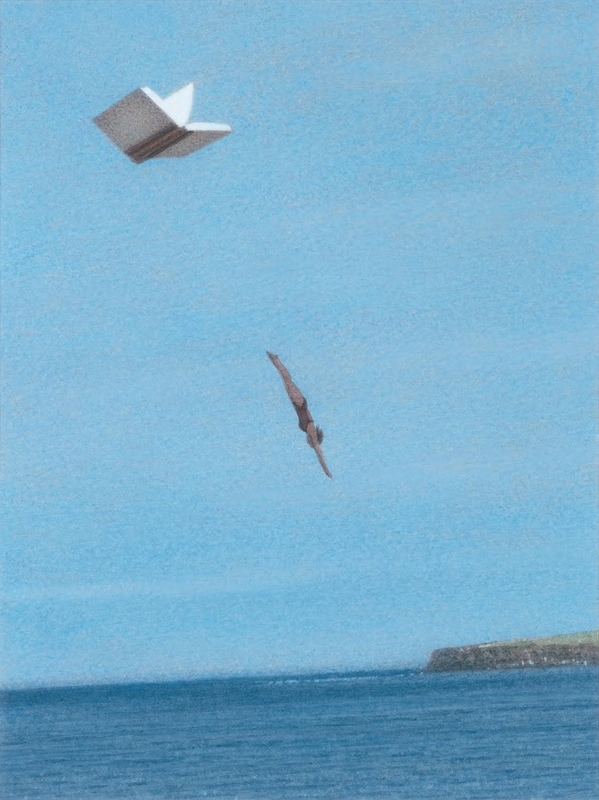 At the end of 2008 a theatrical interpertation of The Collector of Moments opened at the Theâtre de Cornouaille in Quimper, Brittany, directed by Jacques Nichet and with Jacques Echantillon in the lead role. 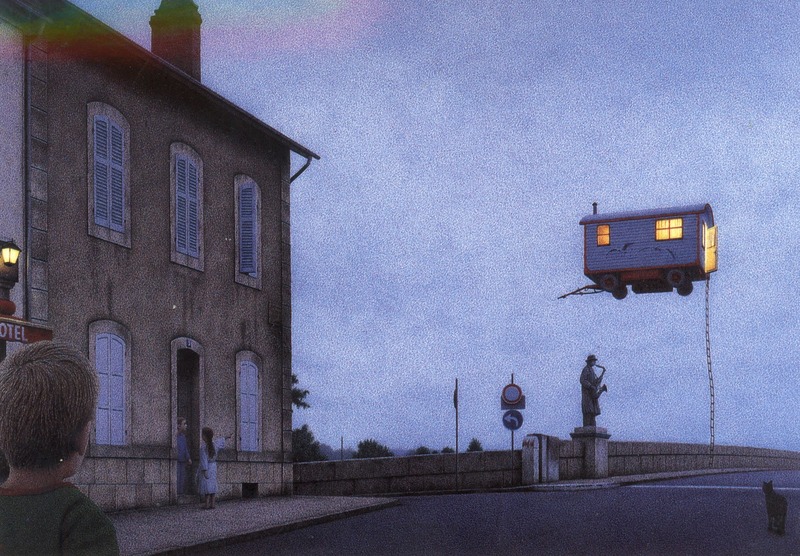 The production then went on tour to nine other French cities. 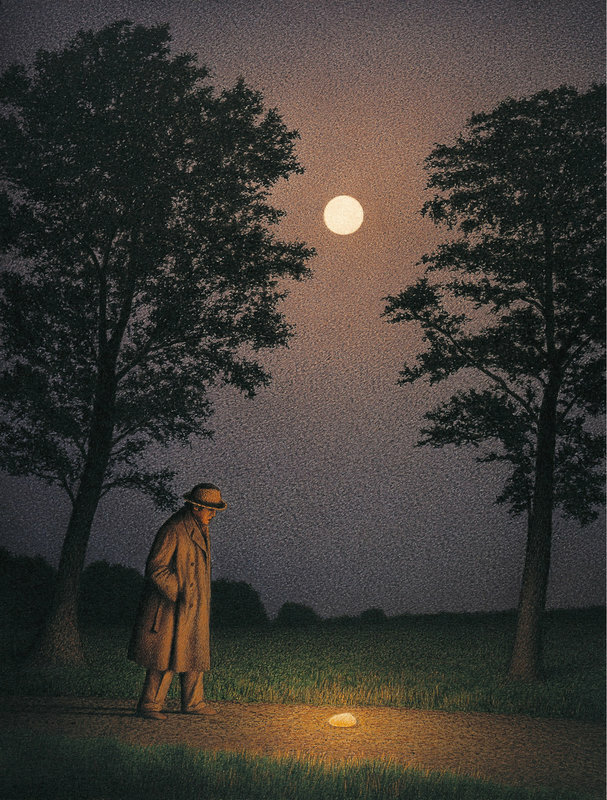 A German production of Der Sammler der Augenblicke (The Collector of Moments) opened in March 2011 at the Metropoltheater in Munich, directed by Jochen Schölch and after fourteen sold out performances returned to the theatre in November 2011 and again in December 2013. 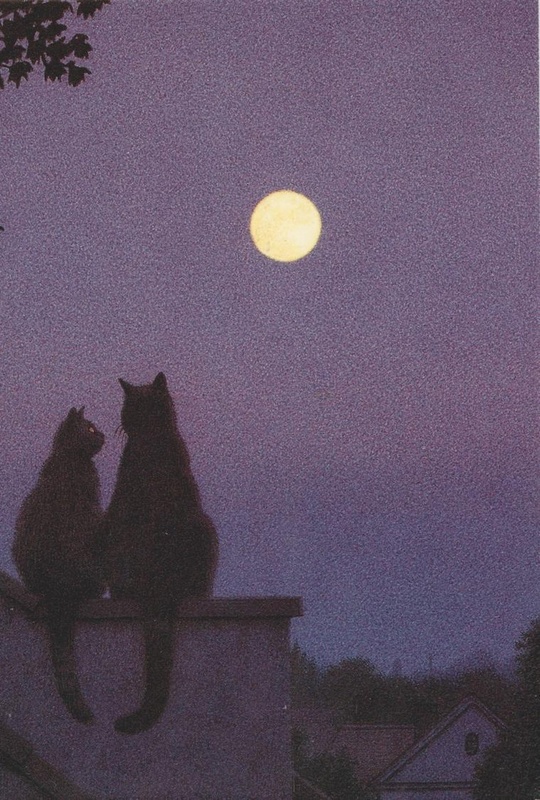 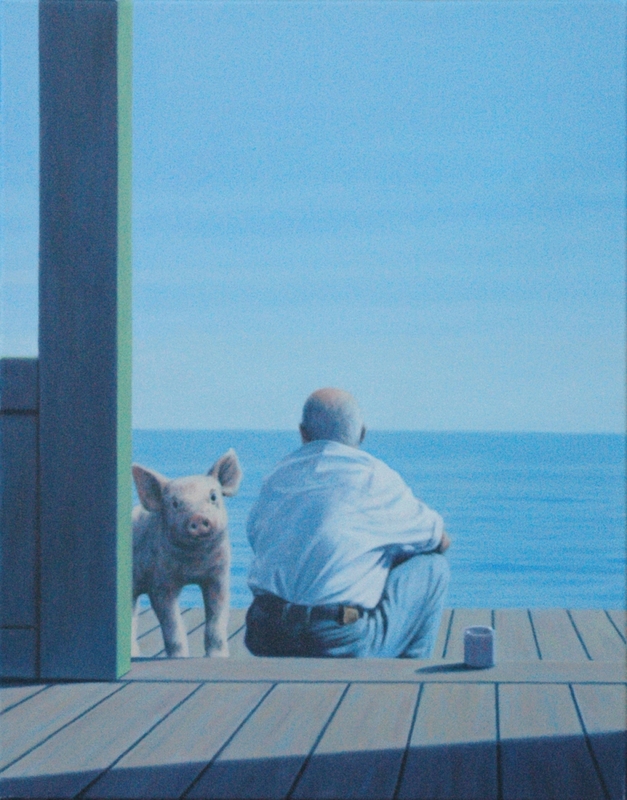 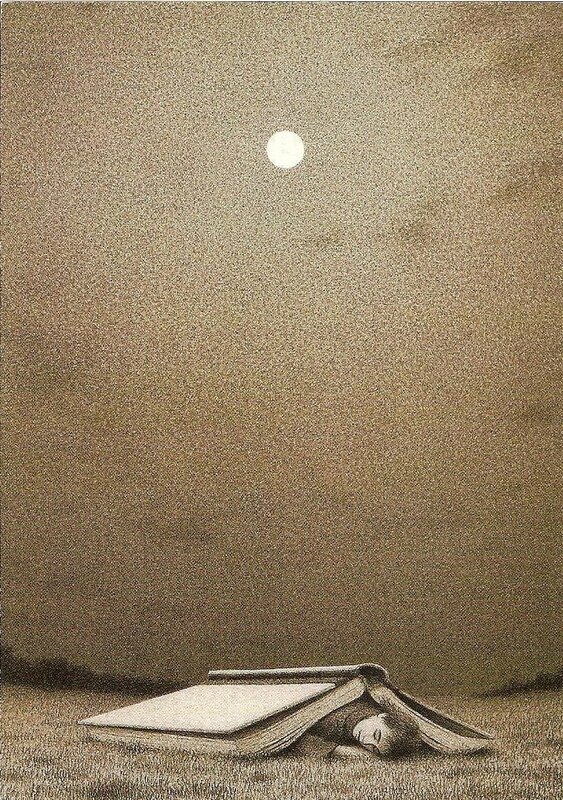 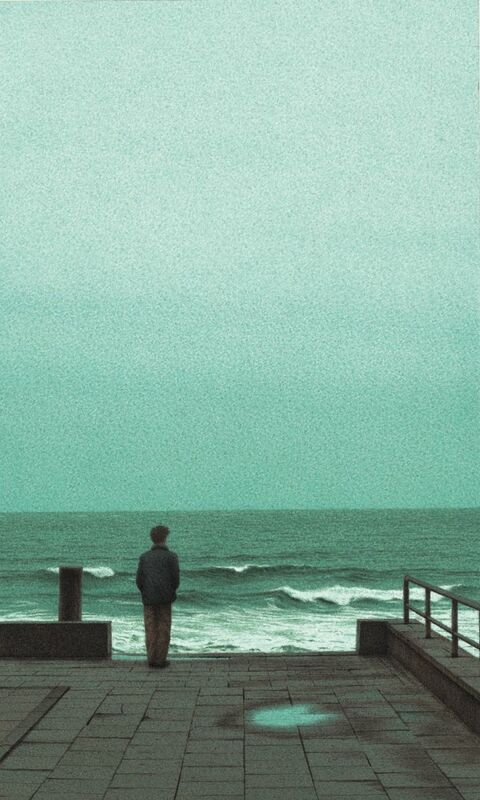 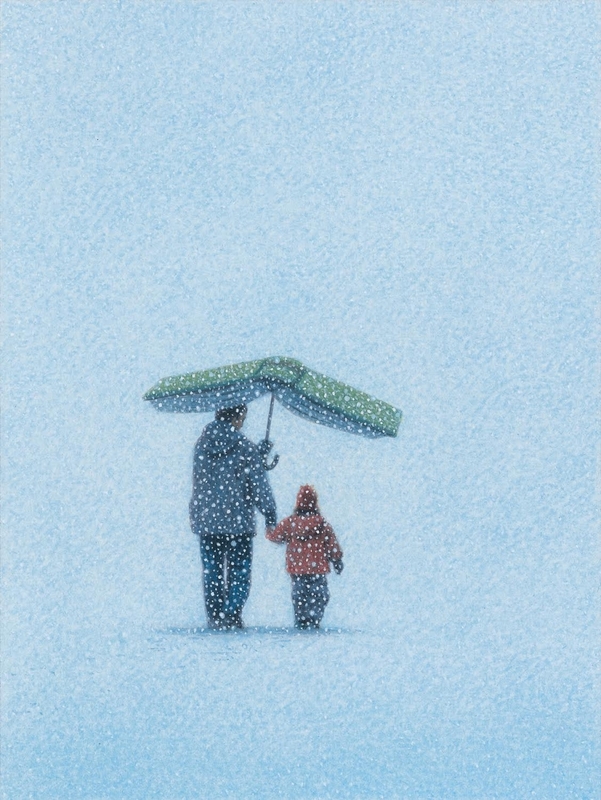 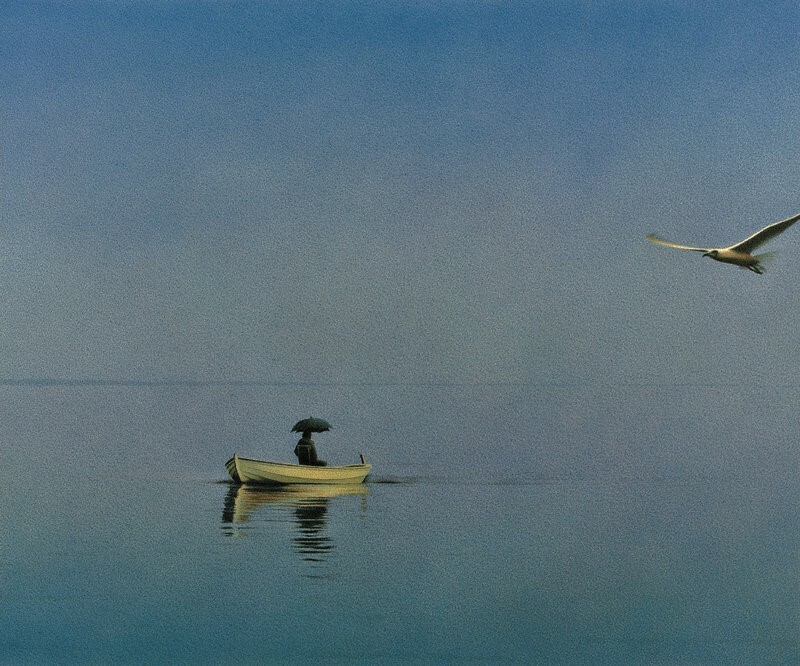 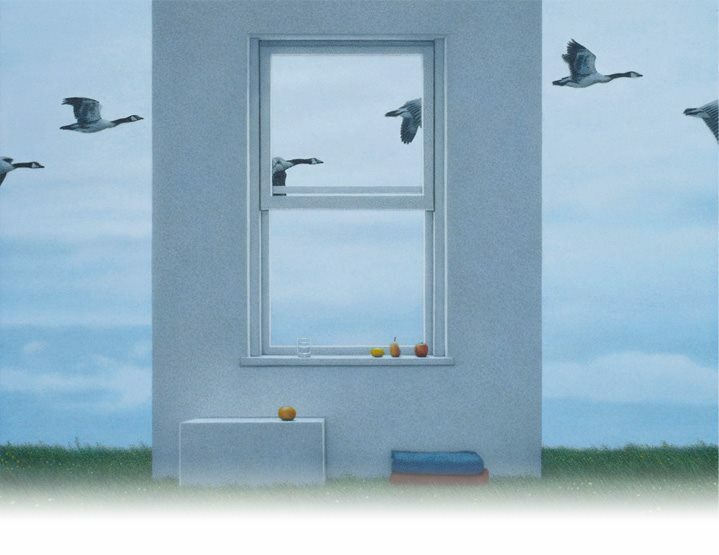 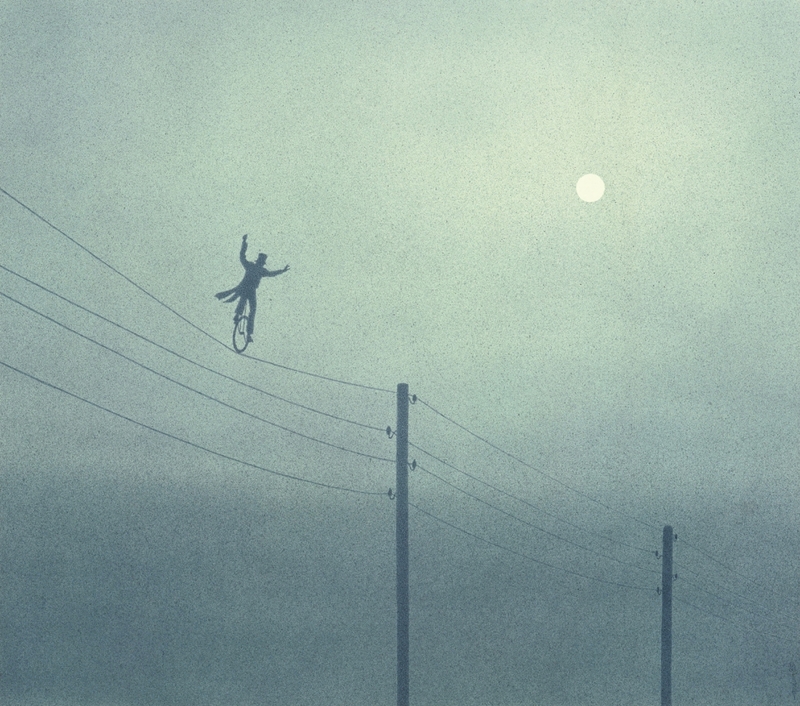 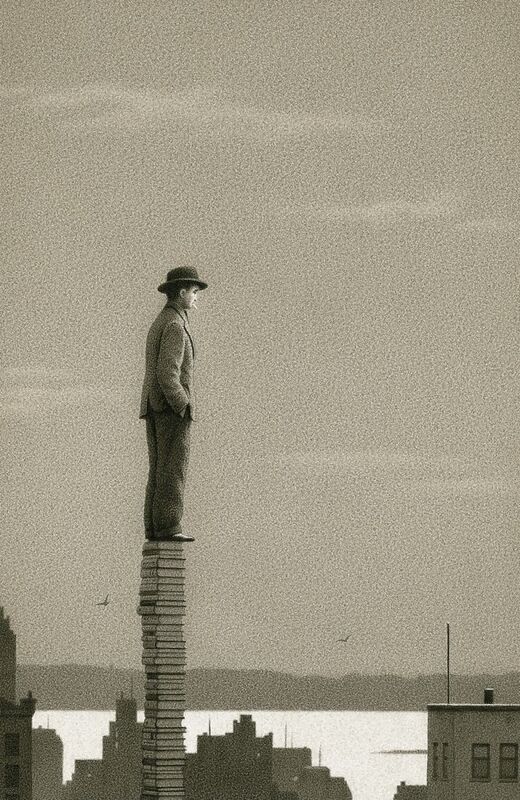 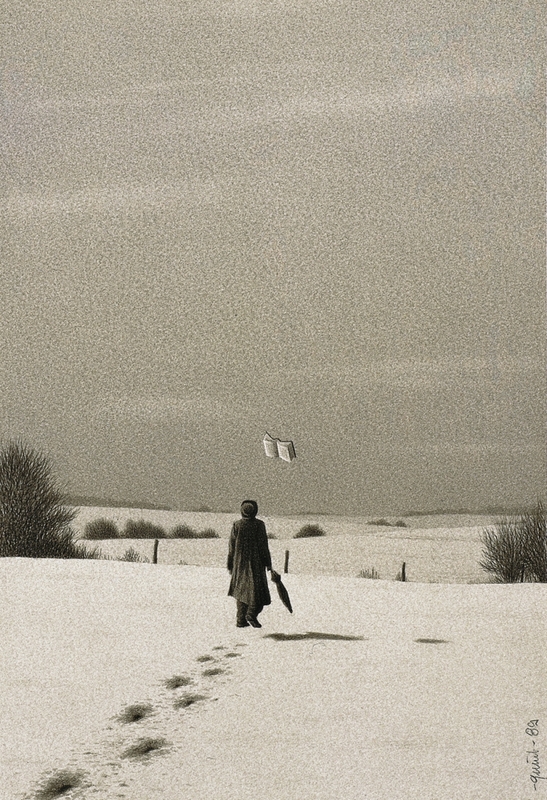 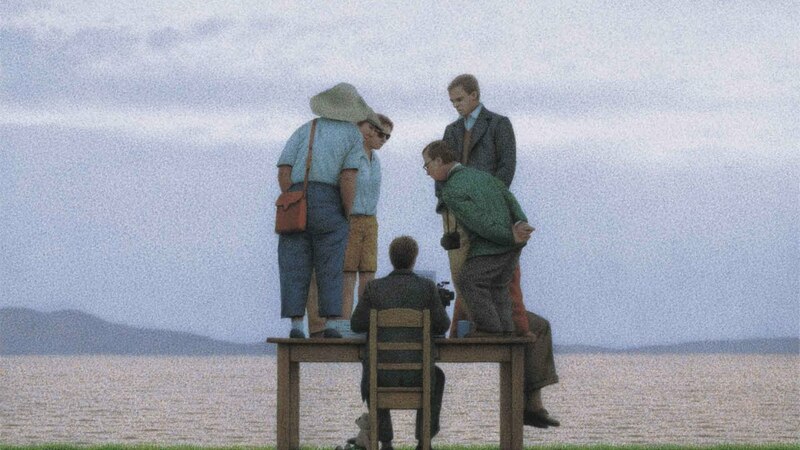 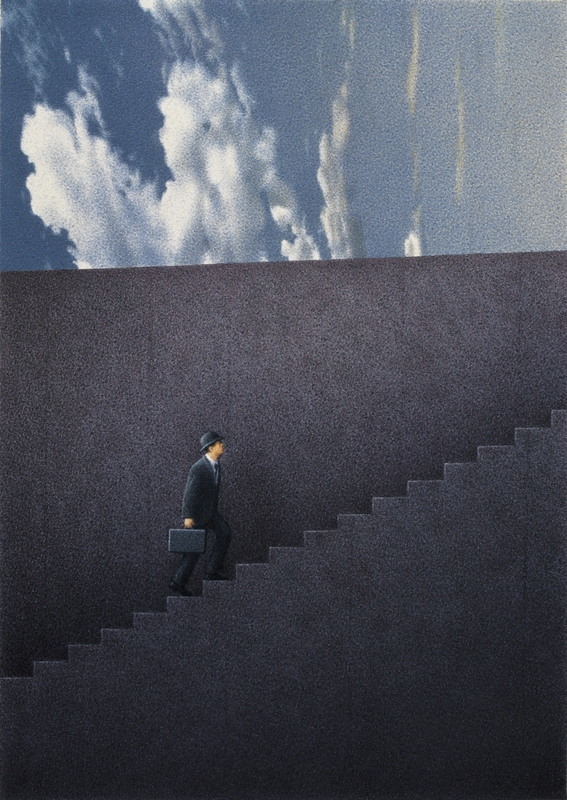 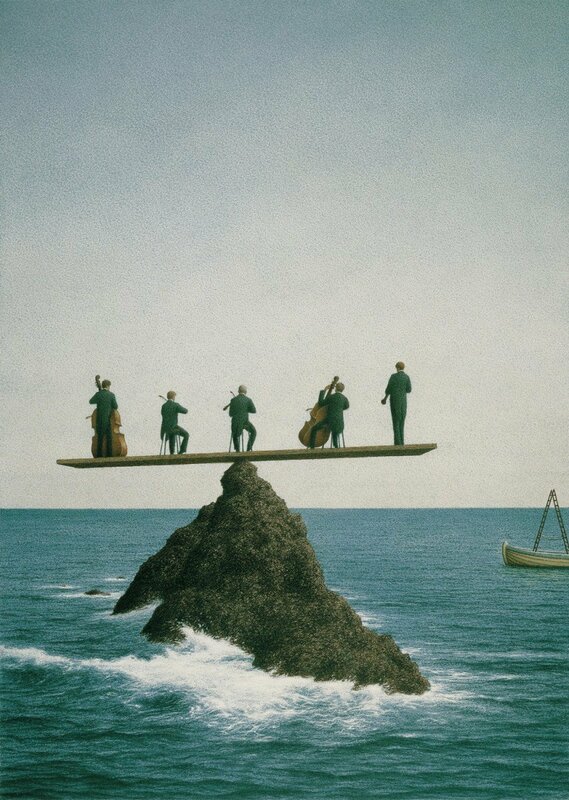 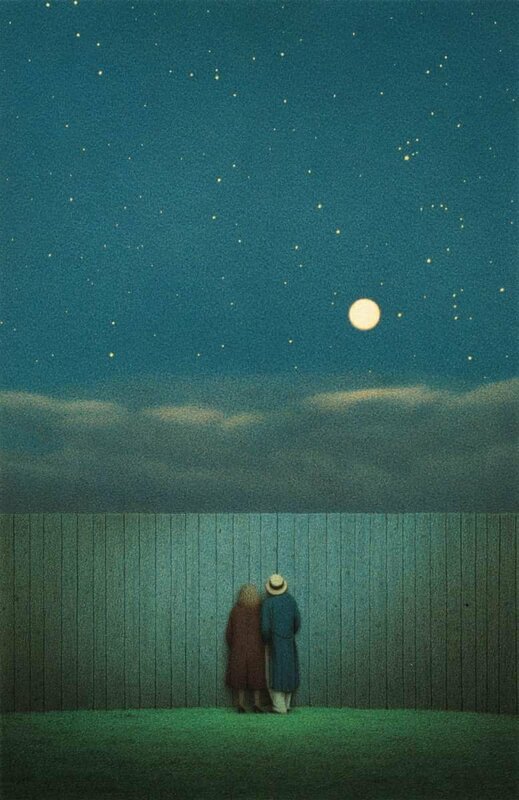 Quint Buchholz is married, he is the father of three children and lives in Munich, Germany. 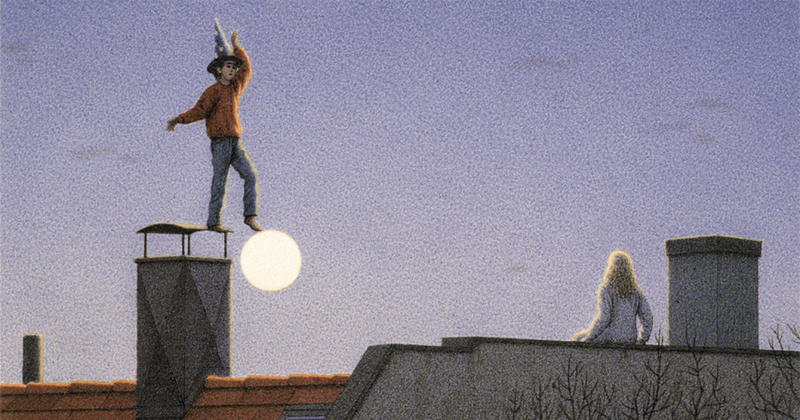 “Magic Words” ("Zauberworte“): A book of 43 pictures and 43 words. 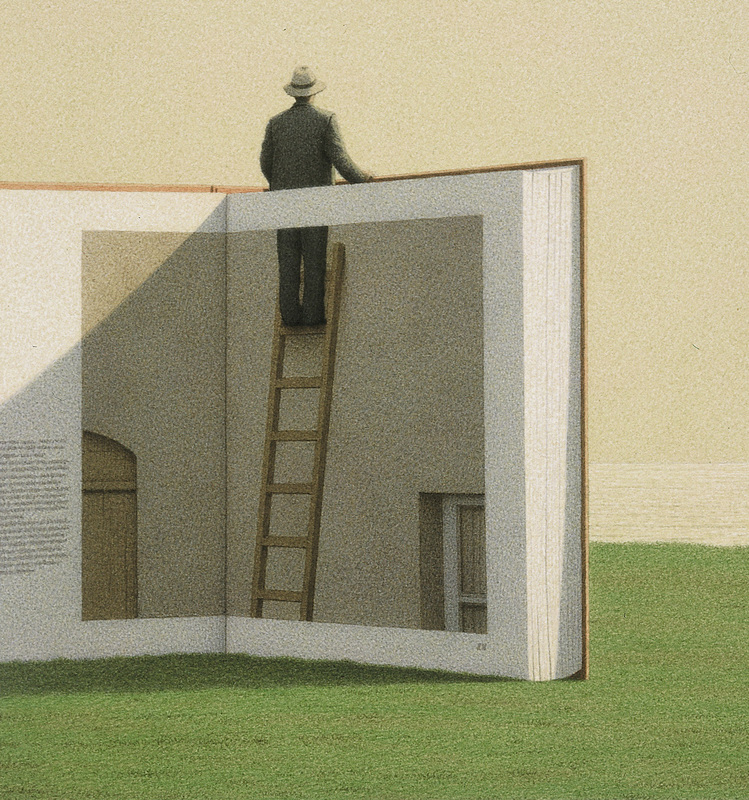 “Time in Picture Books” ("Zeit im Bilderbuch”), Exhibition at the Alps-Adriatic Sea Gallery in Klagenfurt, Austria, in cooperation with Lisbeth Zwerger and Willy Puchner. 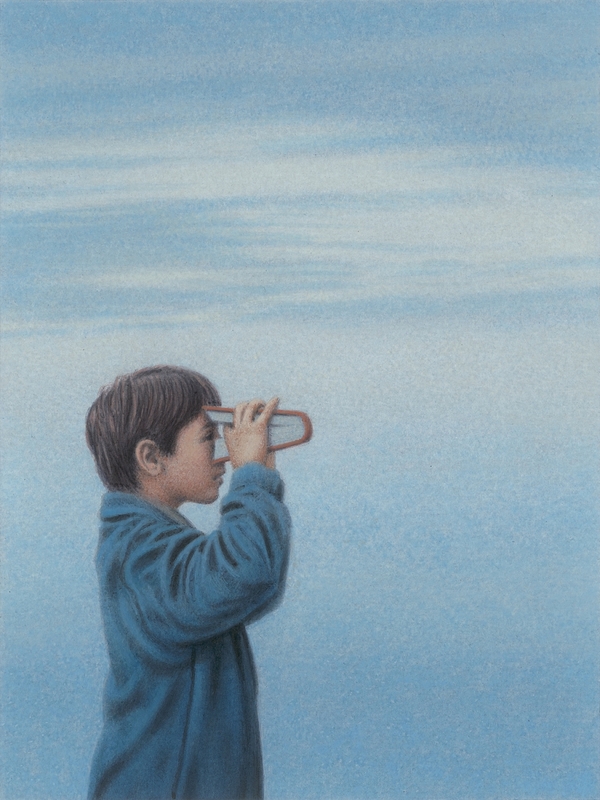 “Of Yearning and Mystery” ("Von Sehnsucht und Geheimnis“), Exhibition at the Heilsbronn Monastery’s Center for Religious Education. 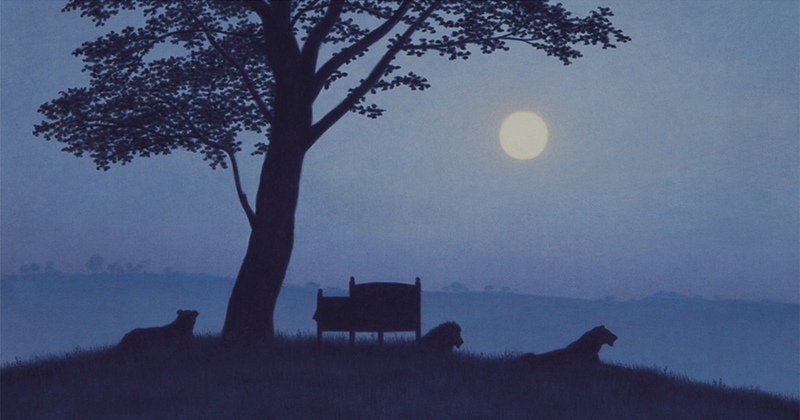 2012 - “Quint’s Life of Animals” ("Quints Tierleben“), featuring texts by various authors. 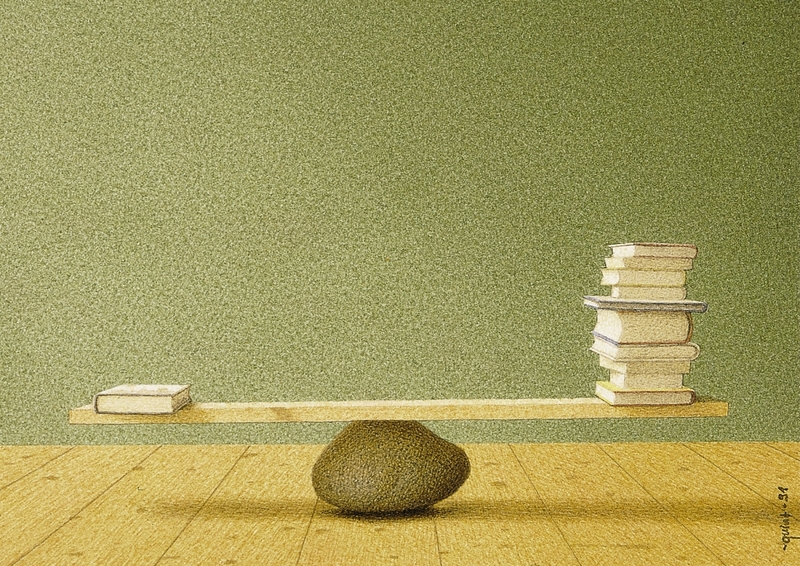 First workshop at the Bad Reichenhall Art Academy. 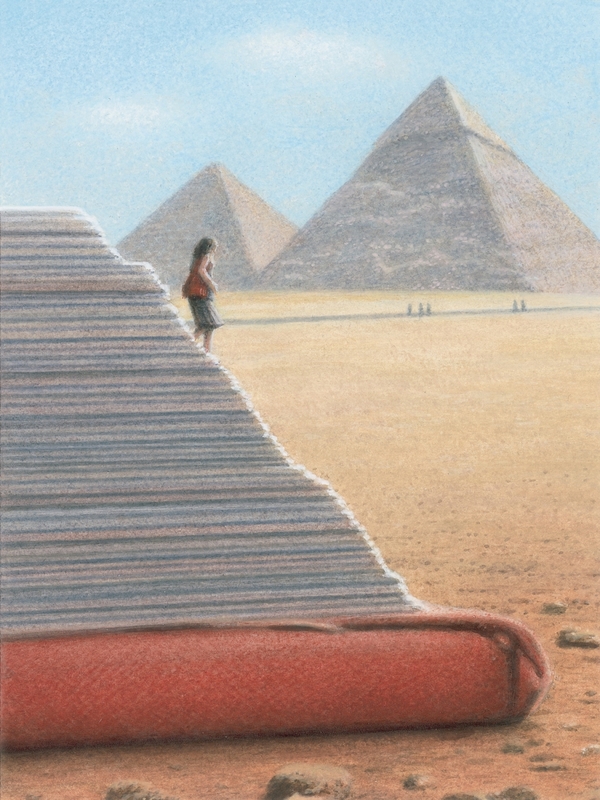 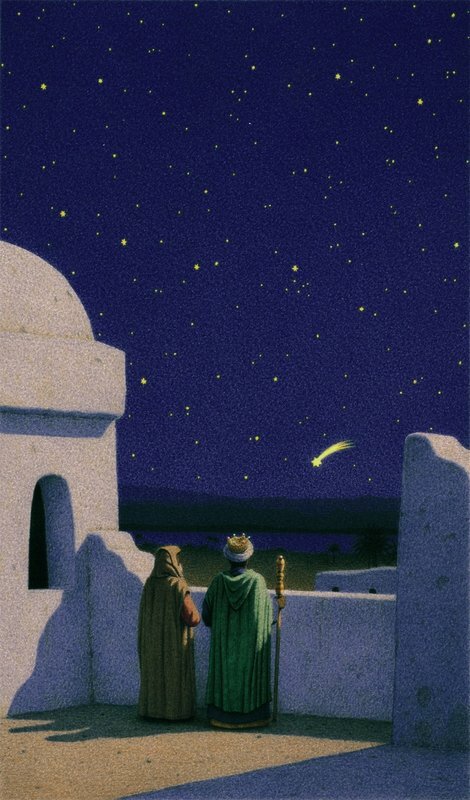 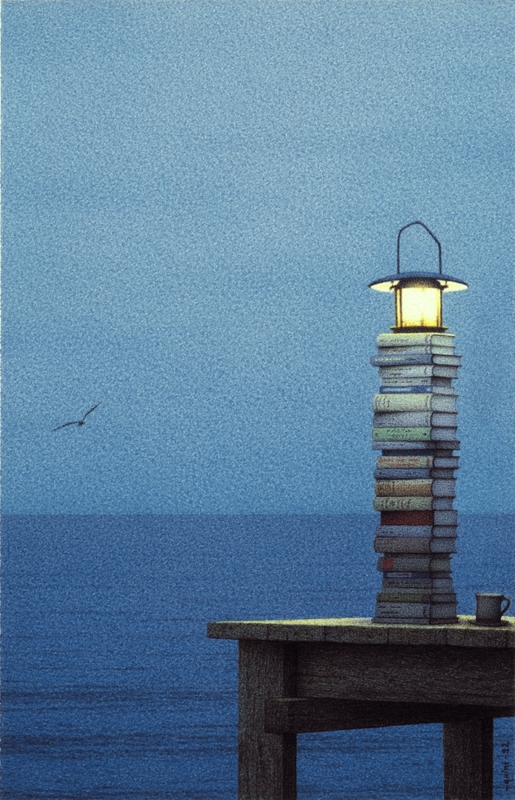 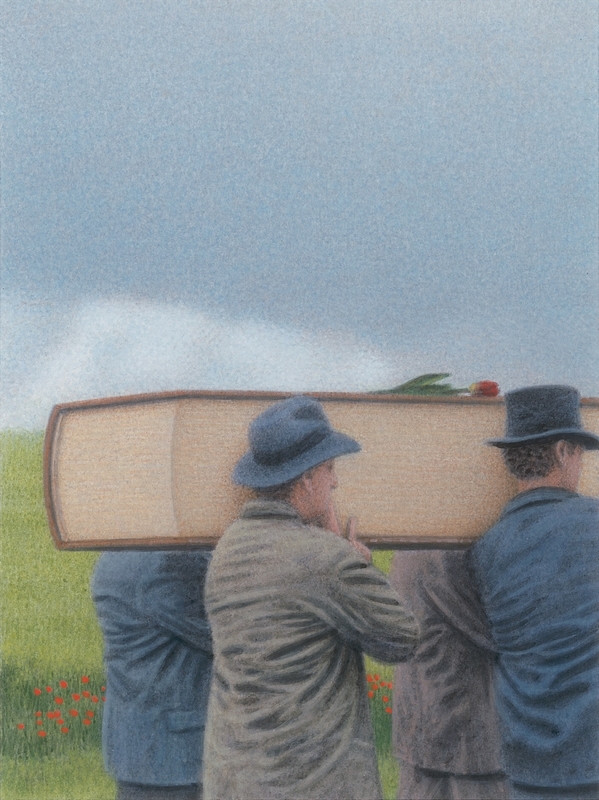 2010 - “The Bible in Pictures by Quint Buchholz” ("Die Bibel in Bildern von Quint Buchholz“) is published. 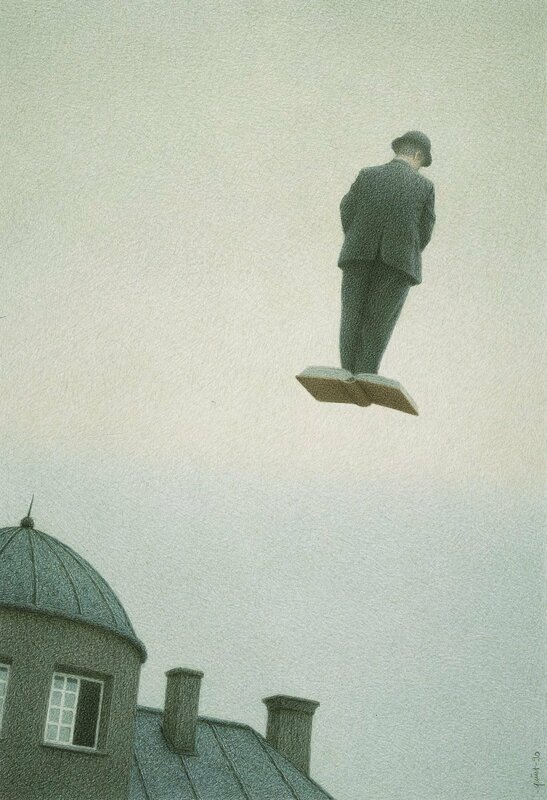 2001/02 - Creation of a series of about thirty box installations and “found object” sculptures. 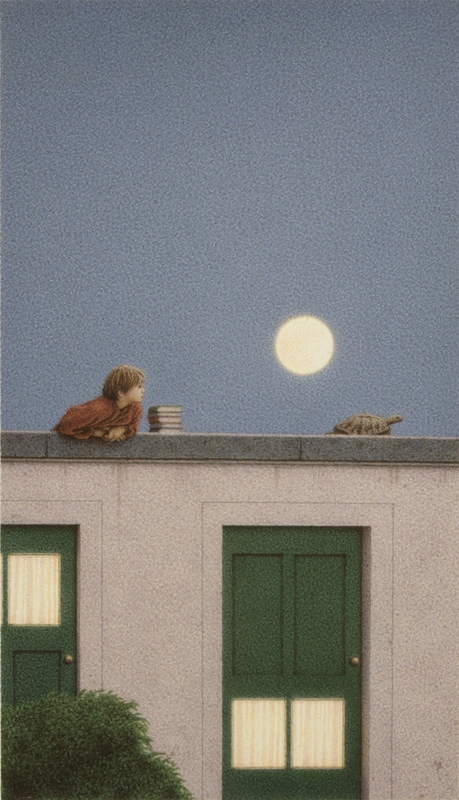 New York Times Outstanding Book of the Year Award** for "Sleep Well, Little Bear“. 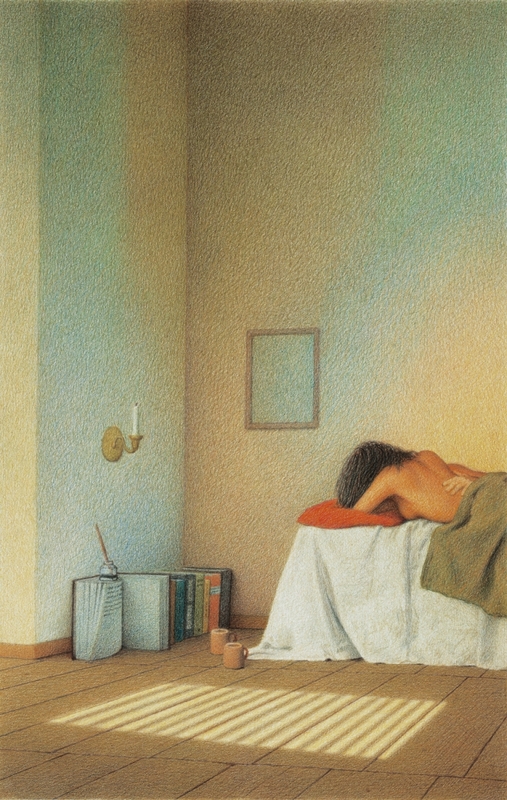 1979 - First illustrations for the magazine “P.M.”. 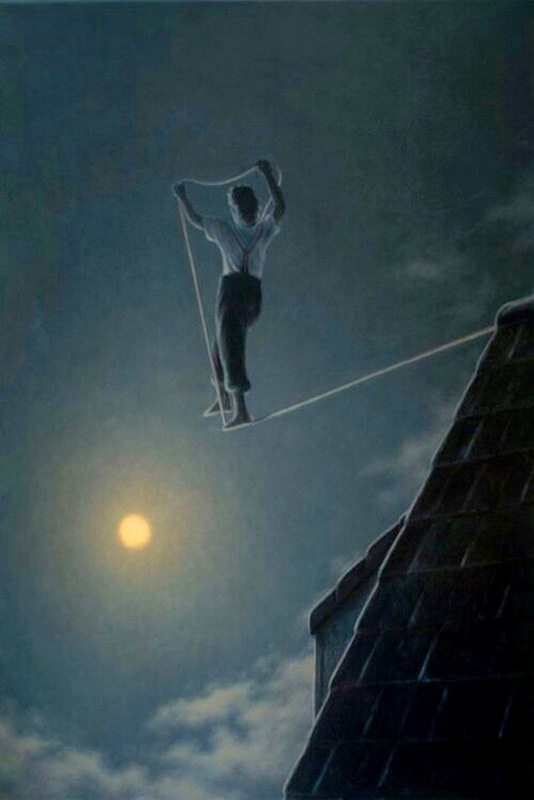 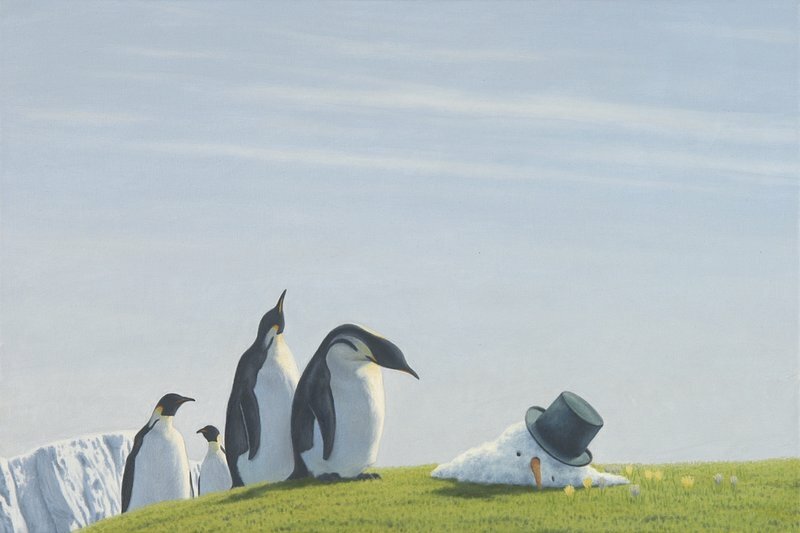 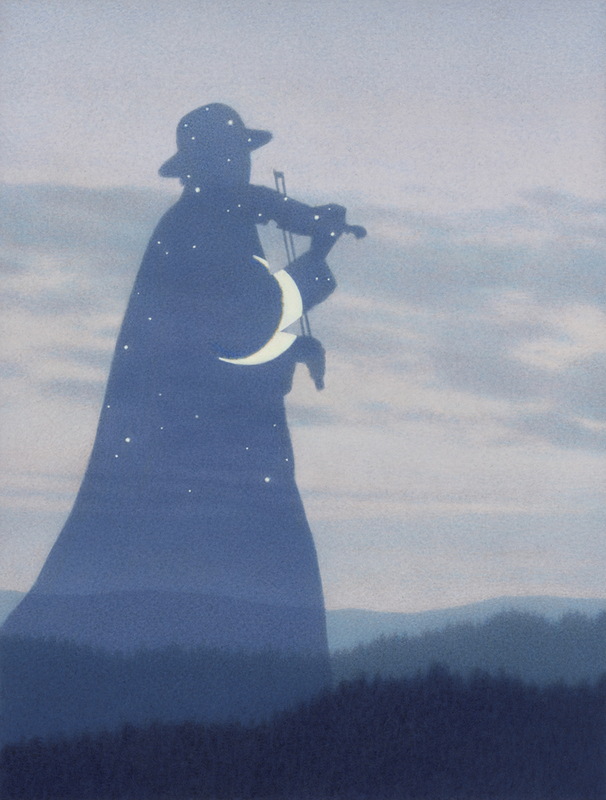 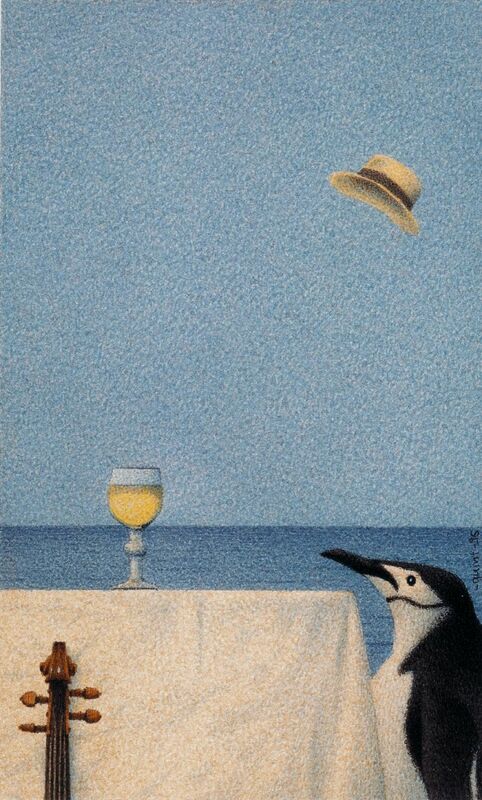 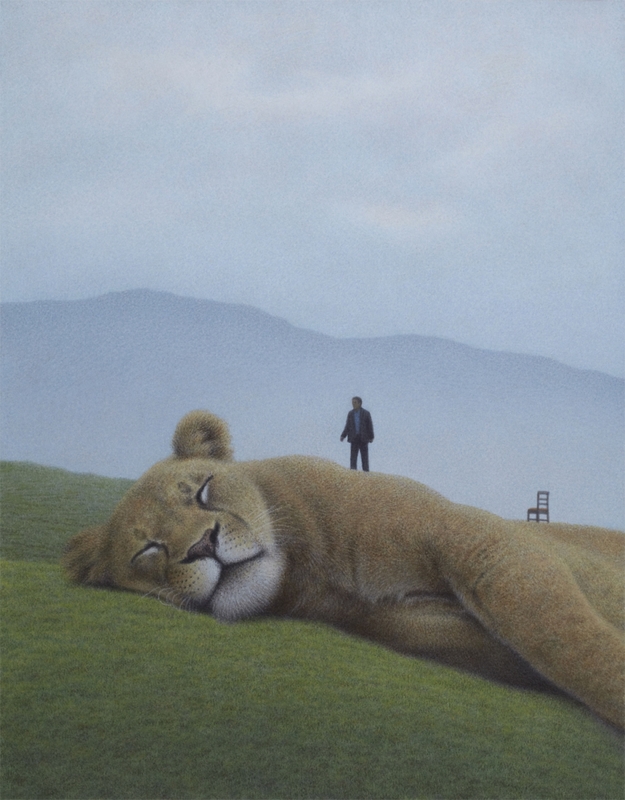 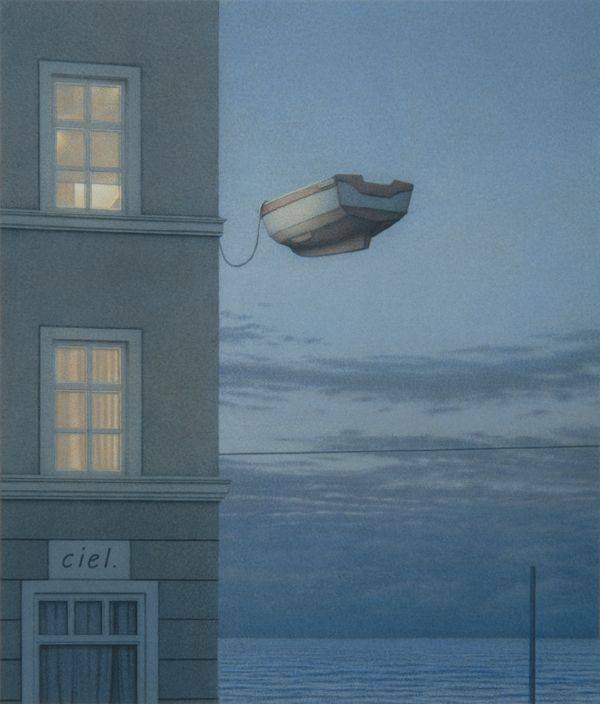 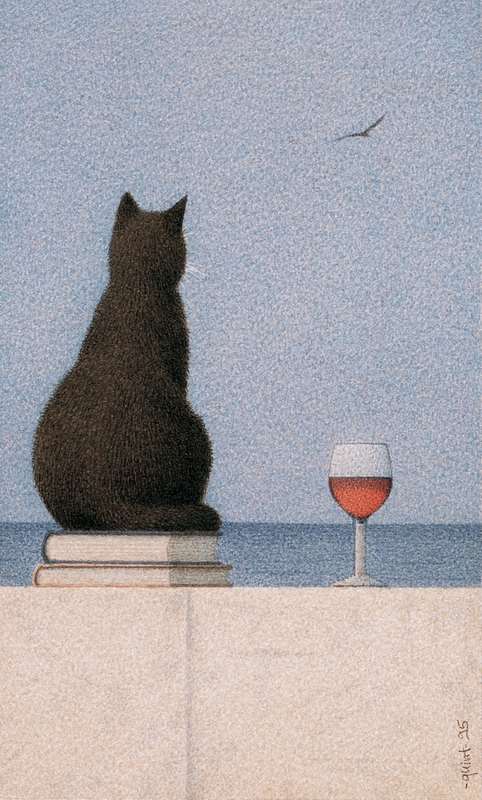 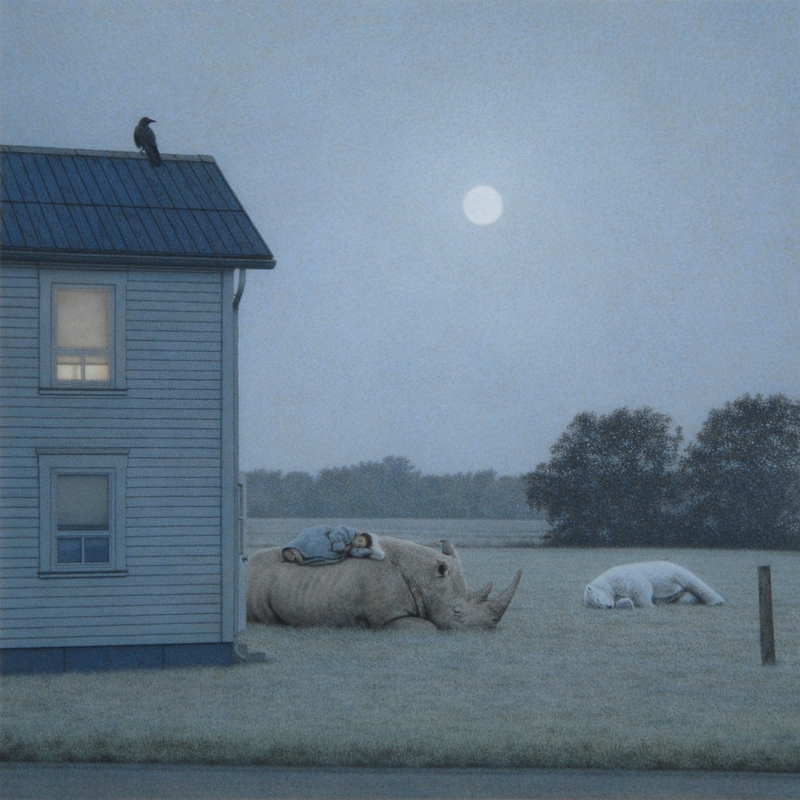 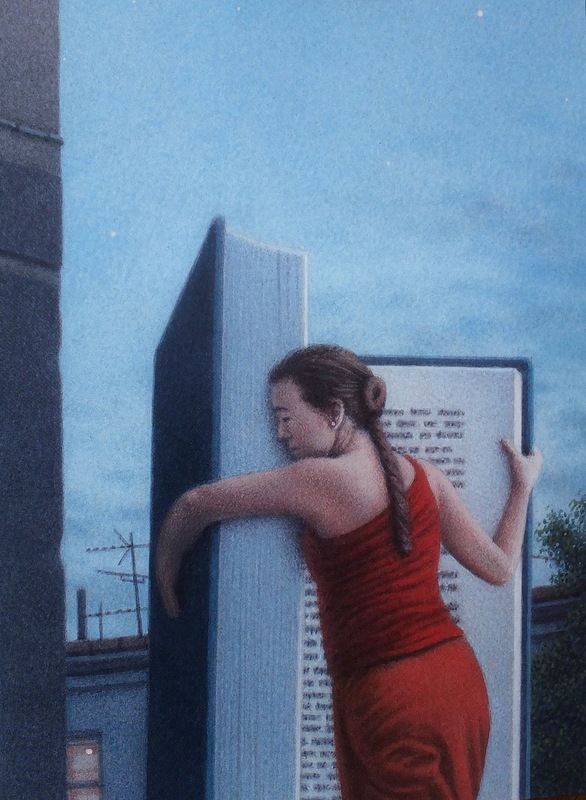 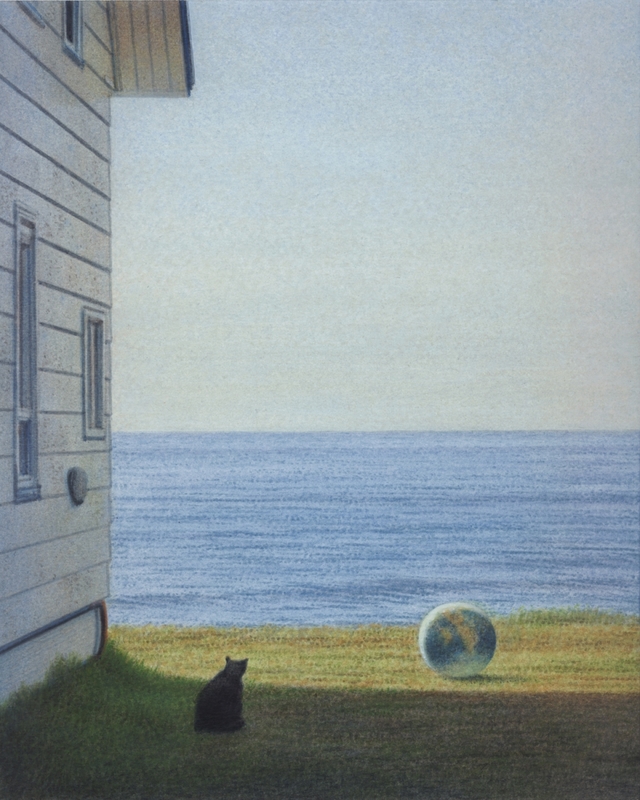 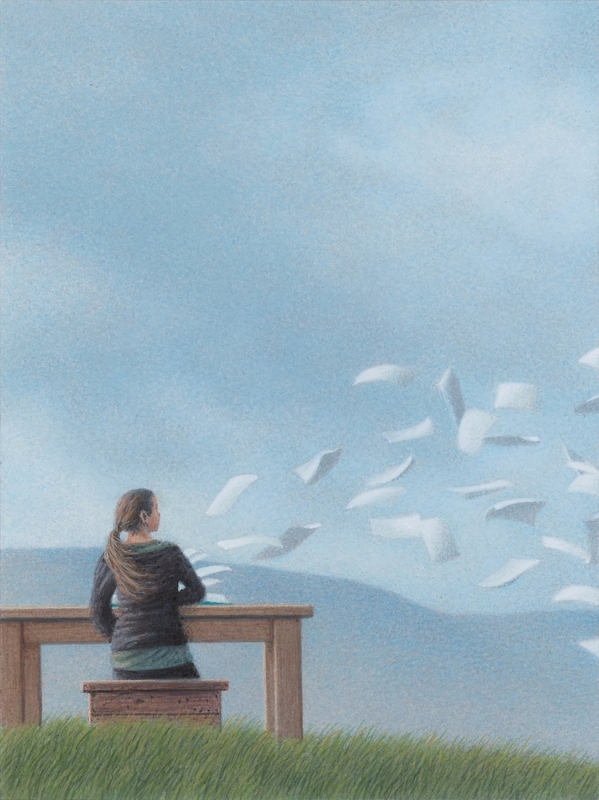 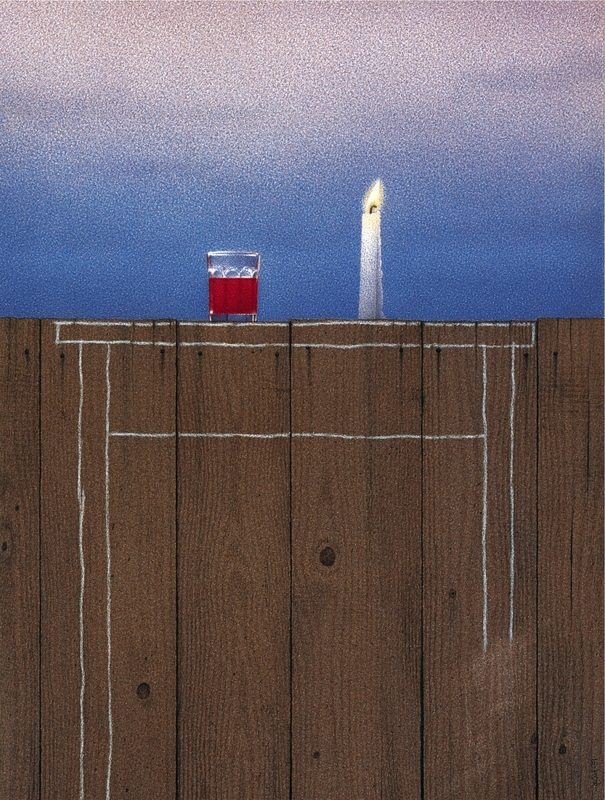 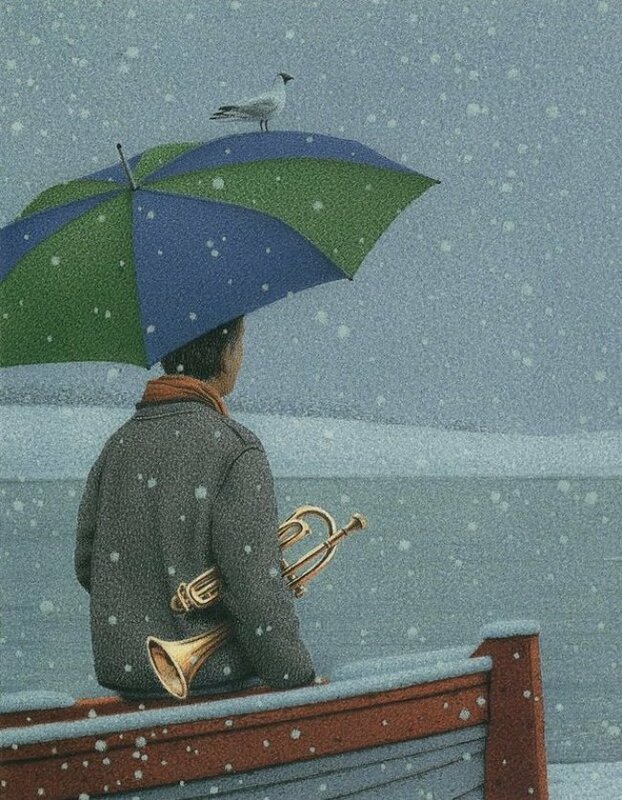 L'artista Tedesco** Quint Buchholz è nato nel a Stolberg, vicino ad Aquisgrana. 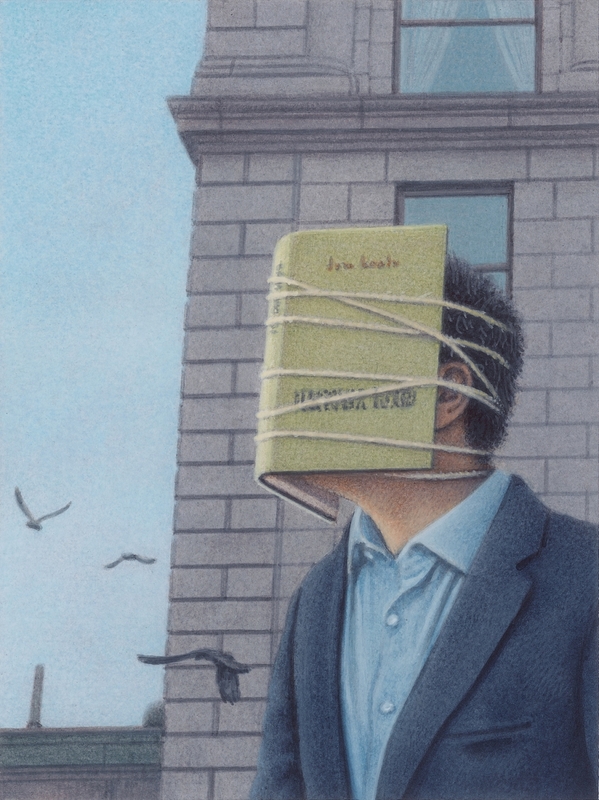 Lavora come pittore e come illustratore dal 1979 ed ha pubblicato oltre 40 libri per il mercato tedesco ed internazionale. 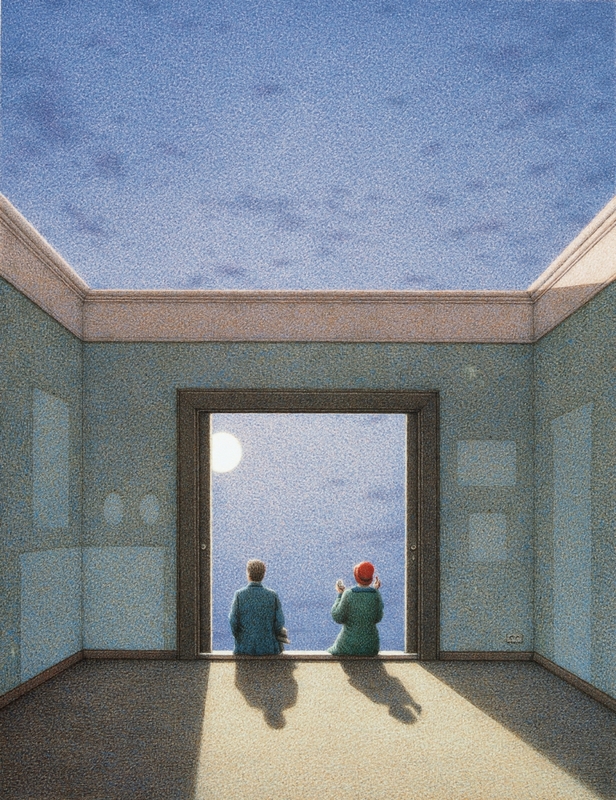 Dal 1982 ad oggi i suoi dipinti sono stati esposti in oltre settanta mostre personali in Germania, Svizzera, Francia, Italia, Spagna, Grecia e Taiwan. 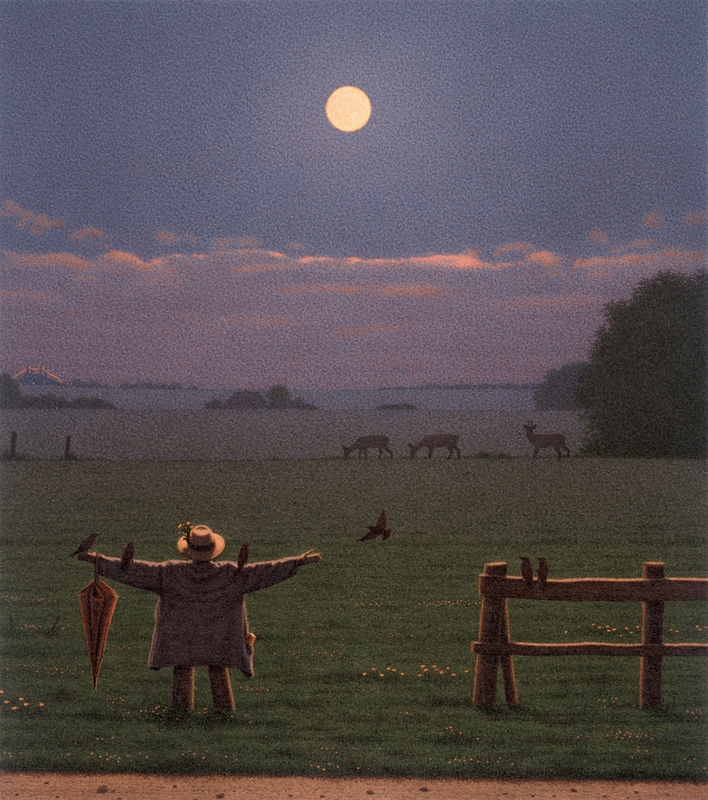 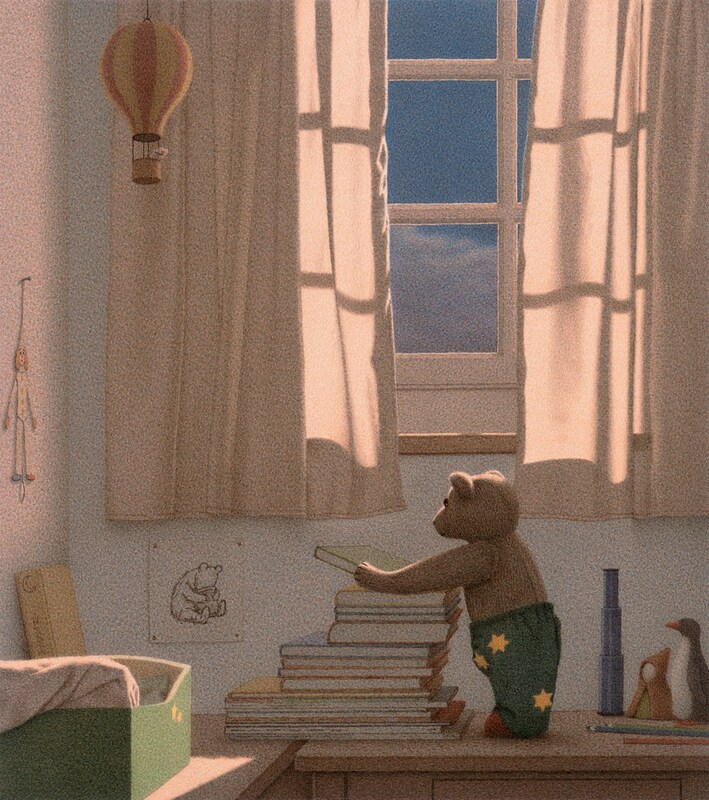 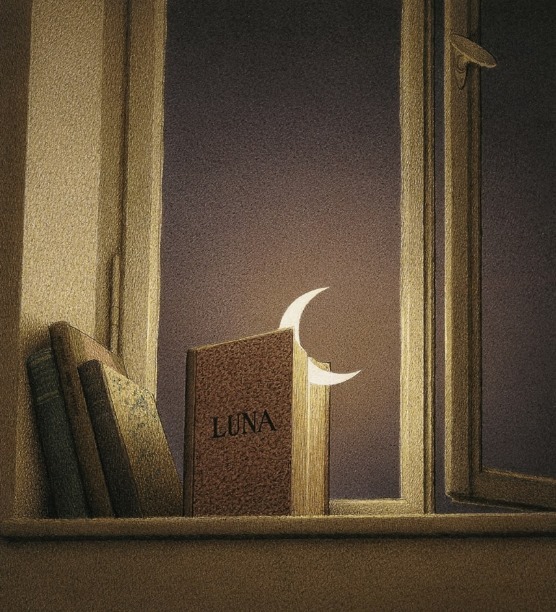 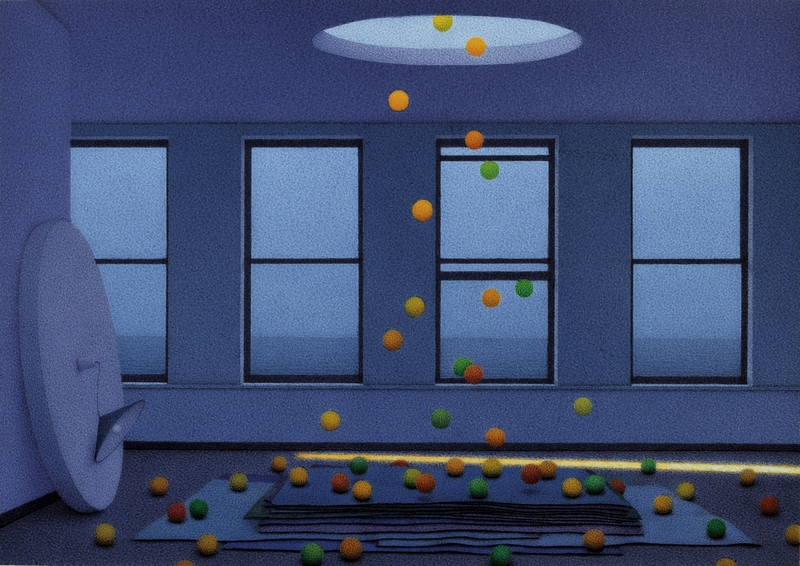 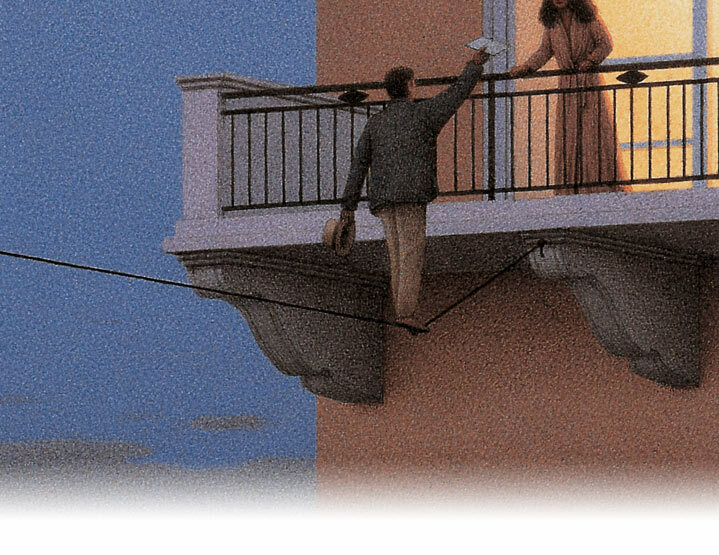 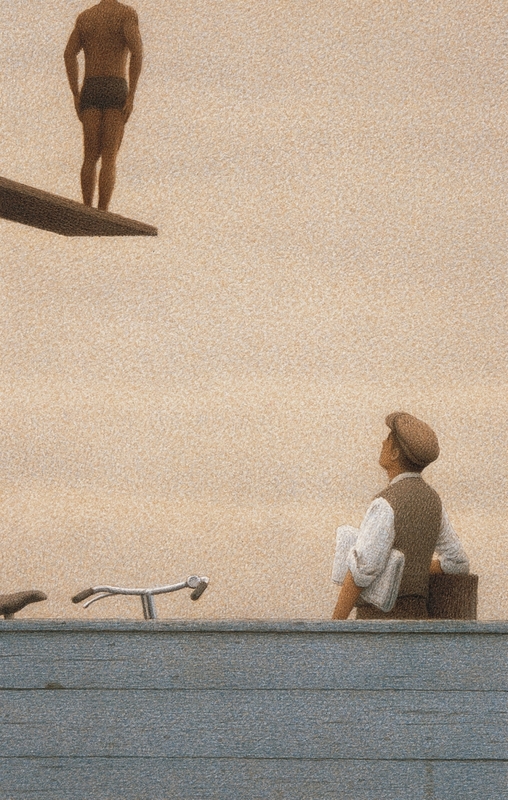 Quint Buchholz piace molto ai bambini ed ai genitori, grazie alla magia delle sue illustrazioni. 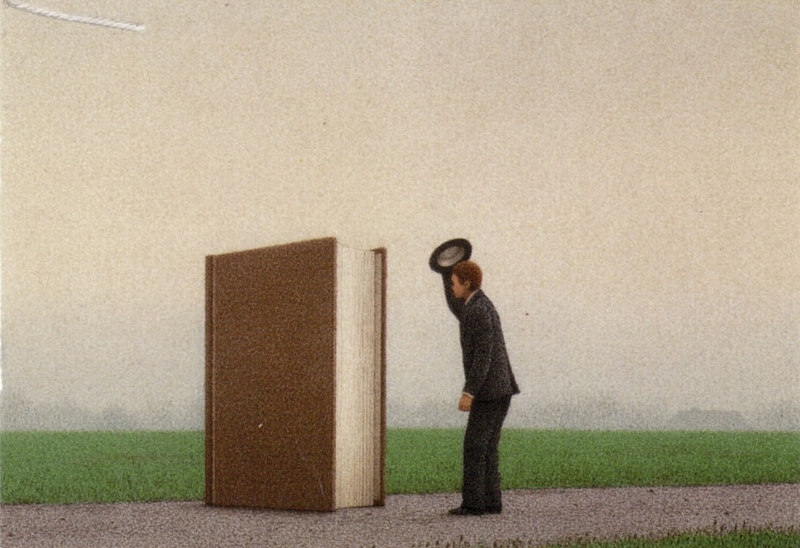 I suoi libri hanno ricevuto numerosi premi, fra questi il Bologna Ragazzi Award** nel 1998.